C-4 Helle Laid Down 01/Jul/09 Entered Service 19/Sep/11 (reconstructed) 01/Jan/27 to 09/Oct/28 (reconstructed) 02/Jan/44 to ? C-5 Kriti Laid Down 08/May/10 Entered Service 26/Jul/12 (reconstructed) 01/Jan/28 to 09/Oct/29 (reconstructed) 02/Jan/44 to ? 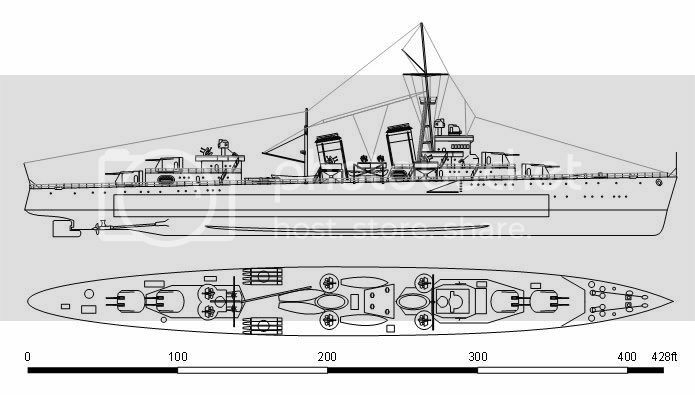 Belt 8"-2", Deck 2.2", Turrets 8" casemates 2", CT 10"
Belt 8", Deck 2.2", Turrets 8" CT 10"
Belt 8", Deck 2.2", Turrets 8"
Belt 4", Deck 2.5", Turrets 2.5", CT 2.5"
Belt 4", Deck 2.5", Turrets 1"
Belt 5", Deck 2.1", Turrets 3"
Belt 8", Deck 5.2", Turrets 6"
Belt 6", Deck 3.25", Turrets 6"
Belt 3", Deck 2", Turrets 3"
Belt 6", Deck 2.4", Turrets 6"
Belt 4.5", Deck 2", Turrets 5"
Belt 10"-6", Deck 2", Turrets 10" casemates 4", CT 10" torp bulkhead 1.5"
Belt 10"-3", Deck 4", Turrets 10" , CT 10" torp bulkhead 1.5"
Belt 3", Deck 2", Turrets 4" casemates 2", CT 5"
Belt 5.5", Deck 3.5", Turrets 6", CT 6"
Kriti in 1925 prior to her rebuild. Large cruisers built with American assistance in Greek shipyards. These ships were to counter the growth of the Turkish navy. 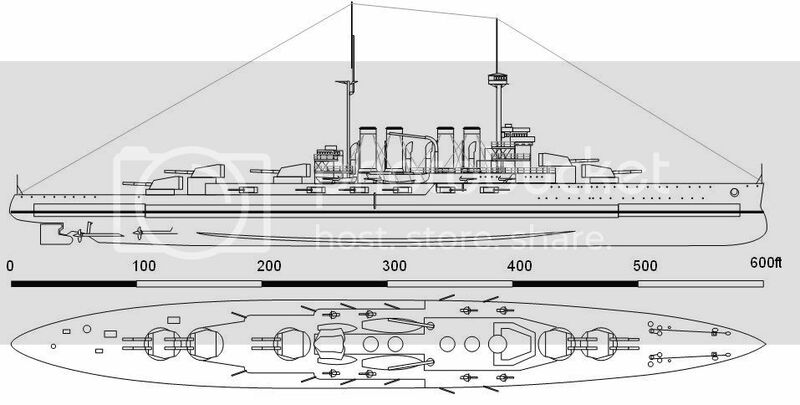 Turkey countered with a Dreadnought built in Italy. Built as a stop gap scout cruiser design to fill the gap in ships of sufficent size for policing and scouting. 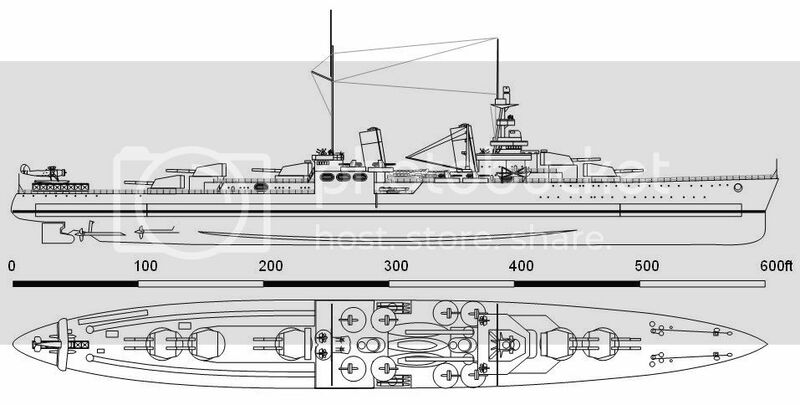 These vessels have been rebuilt in 1936-38 as light cruisers with a DP main armament. Built to comply with the Clieto Treaty and to give the navy more cruiser size ships. These ships introduced the powered 6" twin mount to deal with fast moving targets.